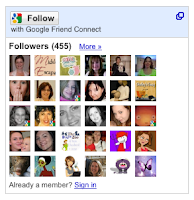 You might have seen the blogger followers list on so many blogspot blogs, you had seen the list of followers who follows the blogs which they like to go on with. some blogger users label them with followers, some labeled them as wish list or blogspot friends but i use it as My Friend List, i too follow the blogs which I found interesting while surfing the web. This is the genuine process in which you are not expect the other bloggers to follow you back. so never try to force the people to follow your blog, just Put the stuffs what they like to read. As you already know you can use Google Friend Connect which is now an inbuilt feature in the Blogger. You can even keep track of the blogs you follow via your Reading List on the Blogger dashboard. Now you must ask How To Get Followers? Below here i have highlighted some points which need to taken care of for successful relationship with you and your followers, rather i should say best friends list. Blog Promotions - Promoting your blog as you can. How you can get visitors without promoting your bog, so do promote the blog in any means. Provide Quality Contents - Content is the king forever. Useful contents will attract your visitor to comeback over and over, and then hope your visitors turn become your follower. Keep Blog Up to date - Updating your blog on regular base. How can you have loyal visitors without regular update? They will leave you when they see there's no up date for a long time on your blog. Blogger Community - Blogger Community is a great place to get follower. You can have friends here and if they like your blog they will follow your blog. If you joined some blog communities, you can send them message just to say thanks for their visit :) Make your readers your friend. A friend never leave you alone, they will keep coming back to your blog. Communications - Make communications with your visitors, you can visit them back, commenting back on their blog. Twitter Mania - As everybody knows twitter is the highest traffic site in context of traffic. try to make followers by following them back. Write a Mail - Believe me this is the top most working way to get followers for your blog, if you like any blog then feel free to write a mail to the site owner of the blog and request them to follow your blog, but again don't force :-). Don't Stop - Never stops your site or blog promotion, it should be continuous process and believe me you will surely get what you want. So, Now your turn to follow me if you like my blog, and let me know about your blog also, Best Luck to all the Readers. Thanks recompense your info. It helped me alot in my college assignment. Great post and suggestion. Ok now what about people who ask you to follow them and you do but they don't follow you? Let slide or unfollow them? Thanks for your comment. I always follow the blog which seems interesting. Hey this was really very very helpfull..Simple and sweet..Thank you for this article.. Thank you for sharing this useful tips. I blog on the city of Buenos Aires, its secrets, its history and I illustrate the blog only with photgraphs that I have taken myself. feel free to look and comment! Thanks for the tips, I am trying to increase my following as well. If you are a Christian or even thinking about being one, please visit my blog "Today's Words in Red" @ www.lifecoachdoug.blogspot.com thanks. please i need help,financial pressure is increasing on me,and i need my blog to generate some money.Please please please review it,give suggestions. Obrigado, suas dicas me ajudaram muito. Espero que um dia meu blog consiga algum reconhecimento. Great tips on getting followers. I have been writing articles and reviews online for a long time now and recently started mu own blog www.thebuddingblogger.blogspot.com and can't wait to get to at least 100 followers. Thanks for the tips. "As you already know you can use Google Friend Connect" No, no I don't. thank you good infomation, is there any 2no way to increase followers? I like your tips and tricks. I will apply all these tricks to get followers and traffic to my blog from all over the world thanks so much for sharing your point of view. I was also looking for ways to increase followers. Thanks for the nice read. Any Advice will be helpful. I recently started this blog.